What if you kill Africans? What if you kill at least 10 million black Africans in the Congo? When you kill between five to six million Jews, more than three million Soviet prisoners of war, more than two million Soviet civilians, a million Polish and Yugoslav civilians respectively, around 70,000 men, women and children with mental and physical handicaps and more than 200,000 gipsies, you are Hitler. Your name is immortalised in lists of most evil men in history and whatever symbol associated with your life is criminalised in total abhorrence. What if you kill Africans? What if you kill at least 10 million black Africans in the Congo? 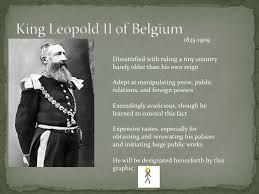 Is your memory reduced to a taboo or you are branded the Builder King of Belgium? When the history books are consistently penned by beneficiaries of African deaths, villains are eulogised and praised in utter disdain of the millions of black lives lost. It was funny he would dare say that when Brussels is host to many grand buildings built using resources that “came at the expense f the Congo region and its people”. 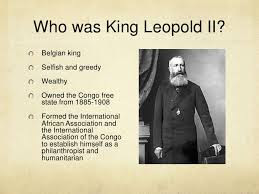 It is the blood and sweat of the Congolese that built the massive urban projects, public works and monuments in Brussel during King Leopold II’s tenure but Dehaene did not bother read on his country’s history. Millions were killed with estimates going as far up as 10 million. This was half a population wiped out for profit. Somehow, this murderous man managed to have a dignified presence in history or at least escape the spotlight altogether. No one talks about him with as much impassioned hatred as that directed at Hitler and Stalin yet they are killed people by the millions. The one difference is Leopold killed black men in Africa and the Western narrative has always been soft on black deaths. Black tragedies are not going to attract the same coverage as white tragedies do. After all, at the same time Leopold was killing and cutting off hands, other European countries were employing similar tactics in territories they had claimed in Africa. Who has the moral standing, even now, among these countries to speak of the evil of years gone by when they all stand on foundations of black men’s blood? 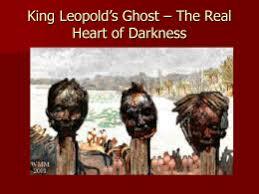 Adam Hochschild calls it “the great forgetting” in his book, King Leopold’s Ghost and indeed it was great. He explains that the process of forgetting the African genocide by Belgium’s mad king was helped by the attack on Belgium by Germany in 1914. 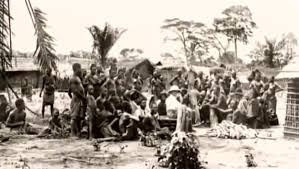 The press said the Germans crucified Belgian babies on the doors of houses and in an echo of the imagery of the Congo reform movement, it was also reported that German soldiers were cutting off the hands and feet of Belgian children. These trumped up reports whose veracity remains doubtful were used to canonise Belgium and consequently forget the Congo. The 10 million were forgotten. Africans would be doing a great disservice to themselves if they do not educate their children in schools, and record accounts of true history and not whitewashed imperialist rhetoric. Mistruths in history are disrespectful to the masses who unjustly lost their lives at the hands of imperialists. No imperialist should be branded anything other than a villain.